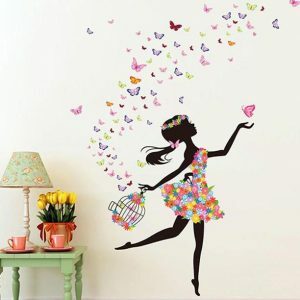 A high quality and durable plastic, industrial sticker, the Butterfly Girl Sticker is suitable for your little girl room. As it is so beautifully colorful it would match most color themes. 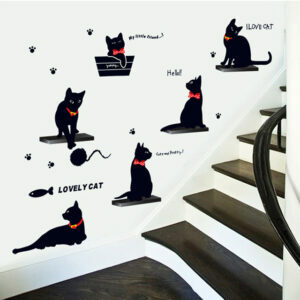 High quality and durable plastic, industrial Cat Love Decal Sticker, is perfect for a living room were lives someone who is a cat lover and is on sale now for a limited time only. Size: 33cm x 60cm – when stickers are set up as in picture. 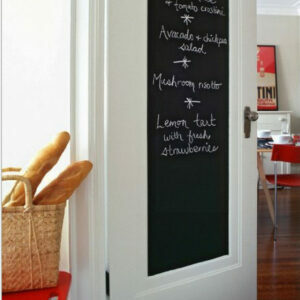 Are you extremely organized and looking for ways to improve your efficiency? Or perhaps you wish you were? 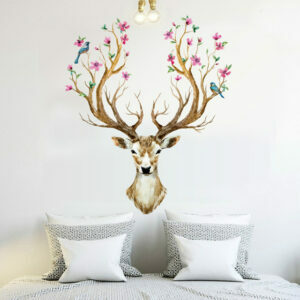 Then this wall decal sticker is absolutely perfect for you. Size: 200cm x 45cm, as in picture. 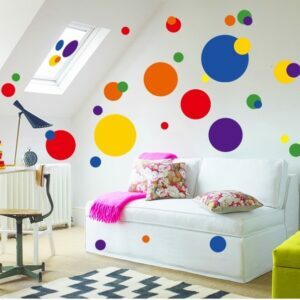 Are you thinking of creating a polka dot themed room? Or maybe you are looking for circle wall stickers to go alongside an existing pattern within your home? 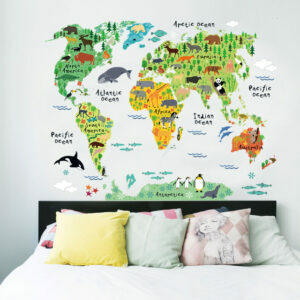 Then this is definitely the wall sticker for you. Size: 50cm x 70cm when all circles are crammed into one space. Largest circles are 20cm in diameter. Are you looking to bring a little flare and color to your room? 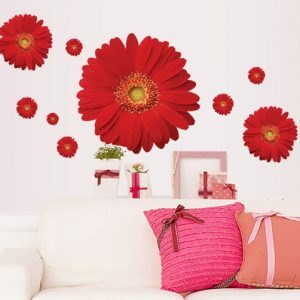 High quality Floral Wall Decal Sticker is a durable plastic industrial sticker and is on sale now for a limited time only. 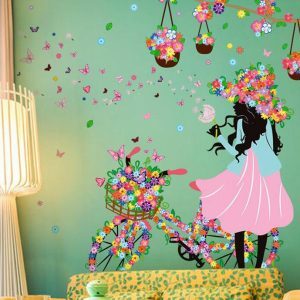 The Flower Girl Dress Sticker is a high quality and durable plastic industrial decal wall sticker, perfect for girls room. 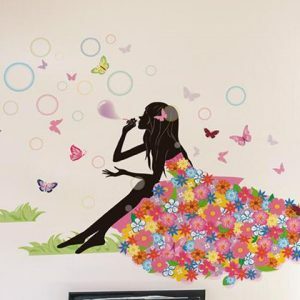 High quality and durable plastic sticker, the Flower Girl Wall Sticker is coloring your room with lots of butterfly’s . 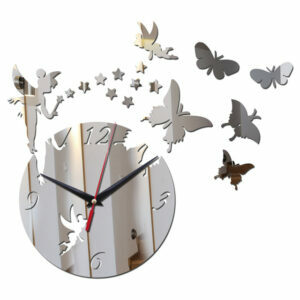 High quality and durable plastic Home Clock Living Room Decal sticker, is suitable for a living room or a bedroom. 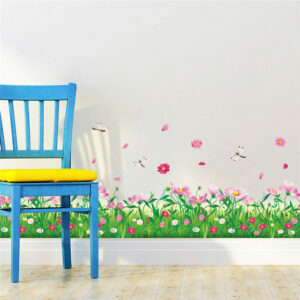 High quality Inside Garden Wall Sticker, is a durable plastic decal sticker, with a beautiful nature themed. Size: 114cm x 30cm – when set up as in picture. This beautiful floral design would go wonderful in someone’s living room area, or even a bedroom. 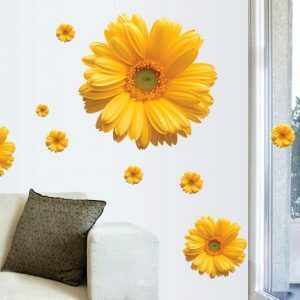 High quality and durable plastic, industrial Living Room Floral Stickers, is on sale now for a limited time only. Do you know a cat lover? 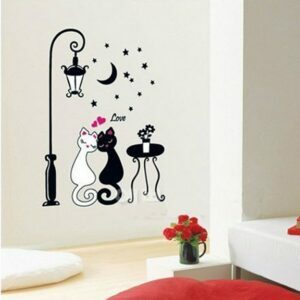 This high quality and durable plastic decal Lovely Cat Wall Sticker, is perfect for any place in a house. 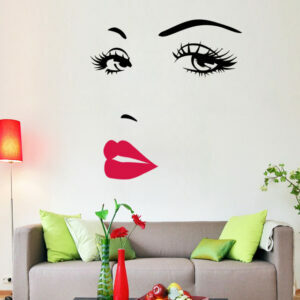 Marilyn Monroe Wall Sticker Decor is a high quality and durable plastic decal sticker. The image features a face with bright red lips that pop out. That extra pop of color in the lips gives the design that extra finishing touch. Size: 50cm x 57cm – when stickers are set up as in picture. Are you looking to bring some wildlife themed decorative pieces into your home? Maybe even something that has a little added floral touch? Then Oh Dear Wall Sticker is exactly the one for you. Do you know anyone who is absolutely crackers about Panda bears? Or perhaps it’s you who is? Then we have the ideal wall decal sticker for you. 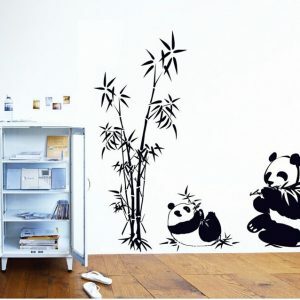 Panda Bamboo Decal Sticker, is a high quality and durable plastic wall sticker. Size: 100cm x 90cm – when stickers are set up as in picture. If you are looking for a beautiful and elegant floral decorative piece to go within your living areas or bedrooms design, then look no further. 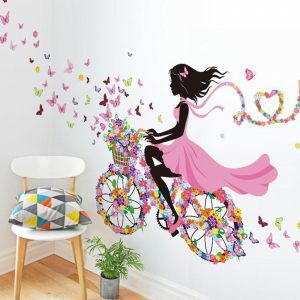 The Pink Girl Wall Sticker is a high quality and durable plastic decal sticker, and is on sale now for a limited time only. Are you designing a child’s bedroom or baby’s nursery? Maybe trying to incorporate a little bit of Winnie the Pooh in there? 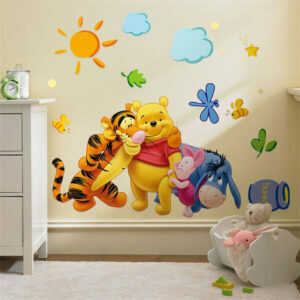 Then this Pooh & Friends Wall Sticker is perfect for you. 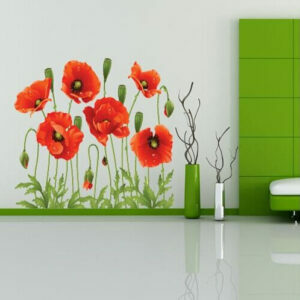 If you are looking for a beautiful floral design to add some brightness to your room, then Red Poppy Removable Wall Decal sticker is for you. High quality and durable plastic industrial quality sticker is on sale for a limited time only. Are you hunting for the perfect interactive piece for your young children? Or maybe even a teenager? 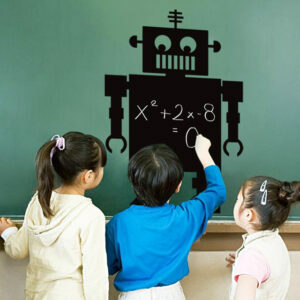 This fun robot themed chalkboard wall decal sticker is perfect for anyone looking for a piece that offers both decoration and interactive fun. This chrome looking wall decal sticker would look fantastic within most living spaces around your home, but specifically the living room or kitchen areas. 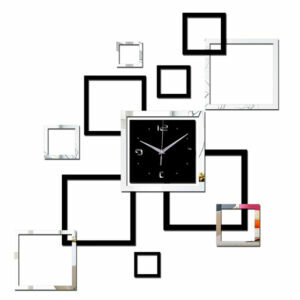 Square Clock Wall Sticker is a high quality and durable plastic industrial sticker and is on sale now for a limited time only.